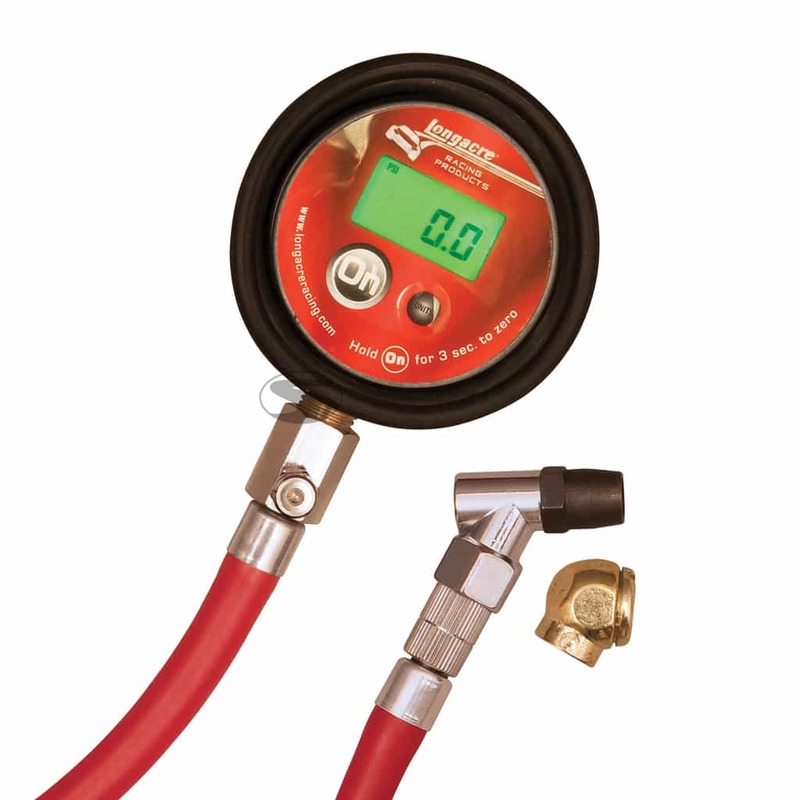 This Longacre Digital Air Pressure Gauge has a housing with a large, illuminated display. The housing has a diameter of 63 mm. 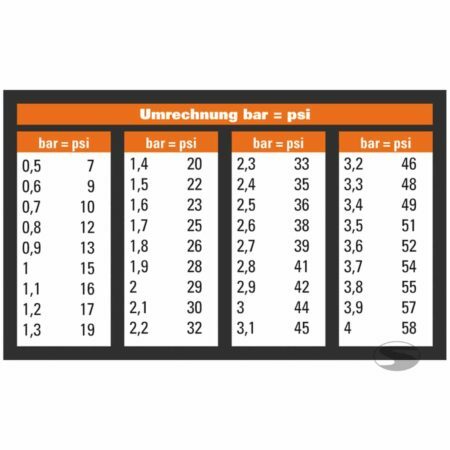 The measured value can be switched from bar (measuring range 0-6.8 bar) to psi (measuring range 0-100 psi). A narrow connection AND a ball connection are integrated – this makes a simple change possible.